"Glitterbugs came to my daughter’s 5th birthday party in March. We had a small party of six girls and they all loved being face-painted and tattooed. They just wanted more, more, more! While the lovely Jodie was painting beautiful butterflies and flowers on their faces, her fairy helper was making tiaras and decorating buns with them. It was perfect for the age group, and my daughter, who had been so overexcited about turning five, was over the moon with her fantastically girly party. The activities were decided beforehand - it's up to you what you do with the kids who are waiting to be painted. PLUS �Jodie is really enthusiastic and full of ideas – a real treat for a party-phobic mum!" Princess parties, pirate parties, face painting, pampering; all you need to make your child's day one to remember. Themed party games and crafts party bags; mix and match elements to suit your budget. Glitterbugs aims to take all the stress out of organising your children's parties and has packages available for tots to teens. With everything you need for a themed party from Pampered Princesses to Swash-buckling pirates, all your kids' favourite dress-up characters are covered. We also do face painting parties, make over parties and superhero parties and we have a fantastic dressing up box which can be hired. Our aim with Glitterbugs is to let parents relax and enjoy the party, so we bring all the materials for the craft activities and take all the mess home home with us. 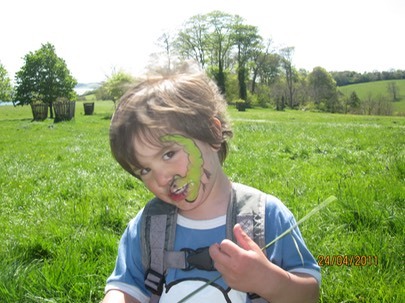 We also take care of all the entertainment, so that parents can chat to other parents, take photos and enjoy the day rather than running around and feeling stressed. Glitterbugs parties have two hosts, one to face paint, apply glittery make up or perform pampering treatments and one to entertain the guests with your chosen craft activity or cake decorating. At the end of each themed party, guests will get their own certificate and be able to take away their craft item or decorated cake. So if you have a little girl who wants to be a princess for the day, or a little boy who's birthday would be unforgettable if all his friends were superheros, give Glitterbugs a call. 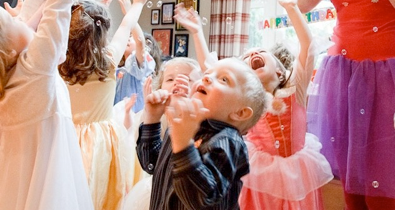 A stress-free party with lots of happy children is guaranteed to be a winner! Suitable for boys and girls aged four and up. Two fairy hosts will come to your home or venue to bring some fairy sparkle to your day.